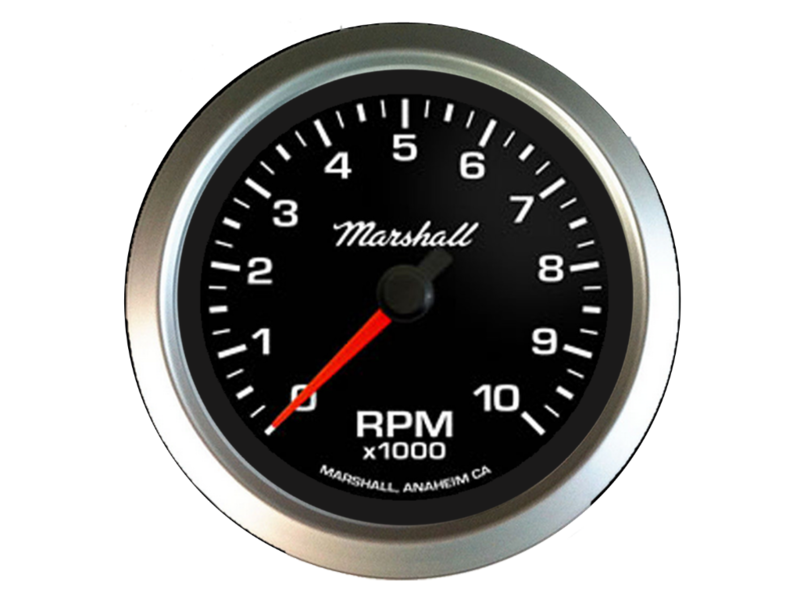 2-1/16" gauges feature the new "no screw, dial forward" design. 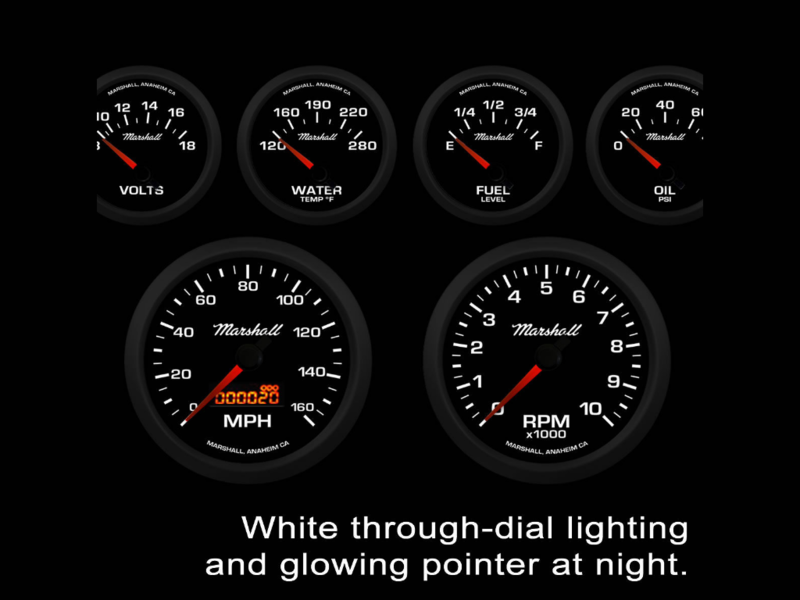 These enhancements bring the dial forward, eliminate any light showing around the edges of the dial at night, for a cleaner, high-end appearance. 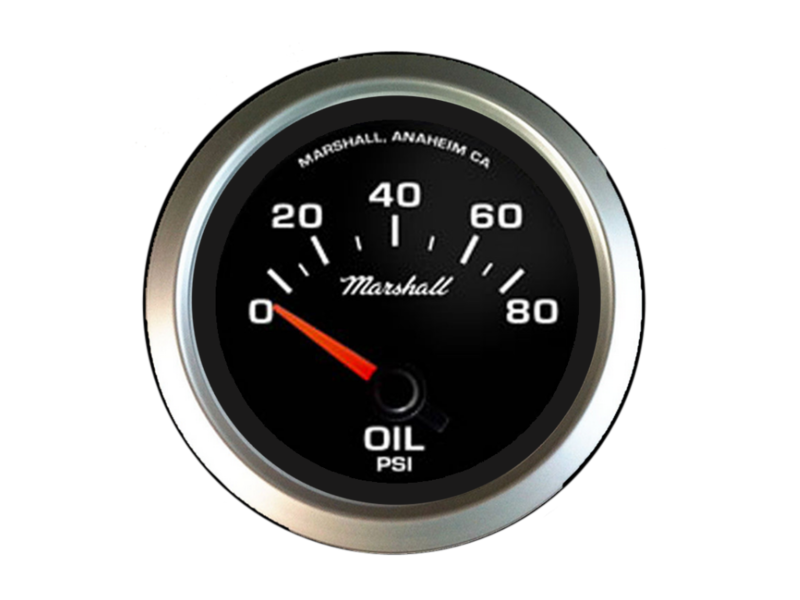 High quality gauges made in Orange County, CA USA. 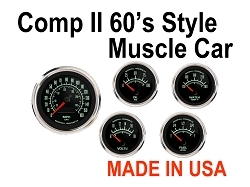 Why pay $700+ for a comparable Auto Meter Sport-Comp II gauge set? 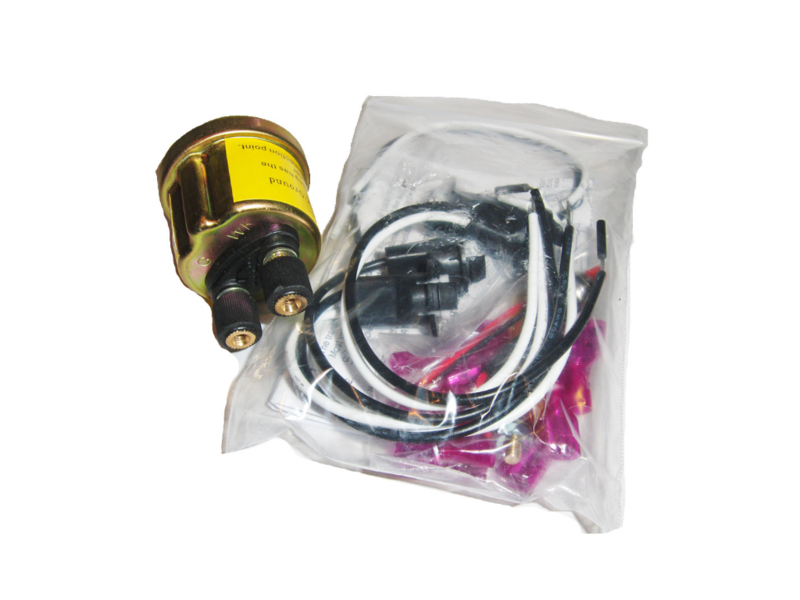 The oil pressure and water temp sending units are included. 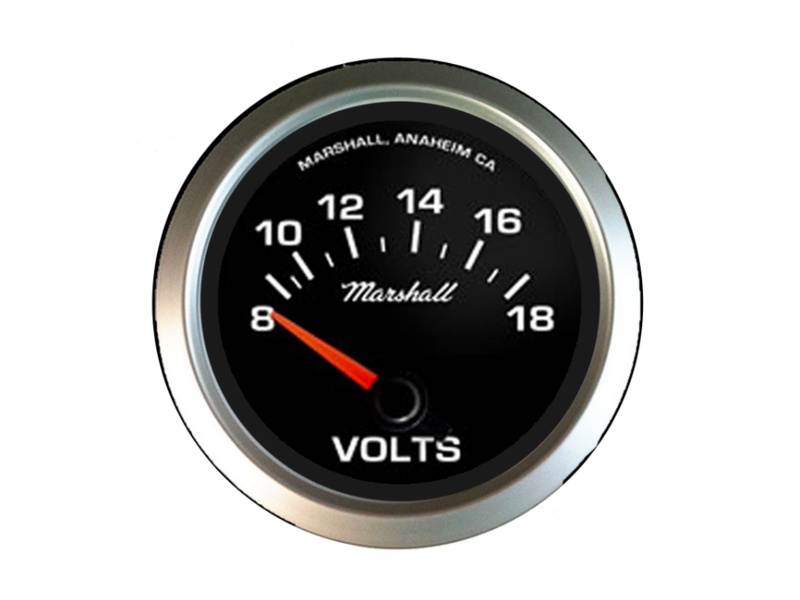 NOTE: The volts gauge does not require a sender. 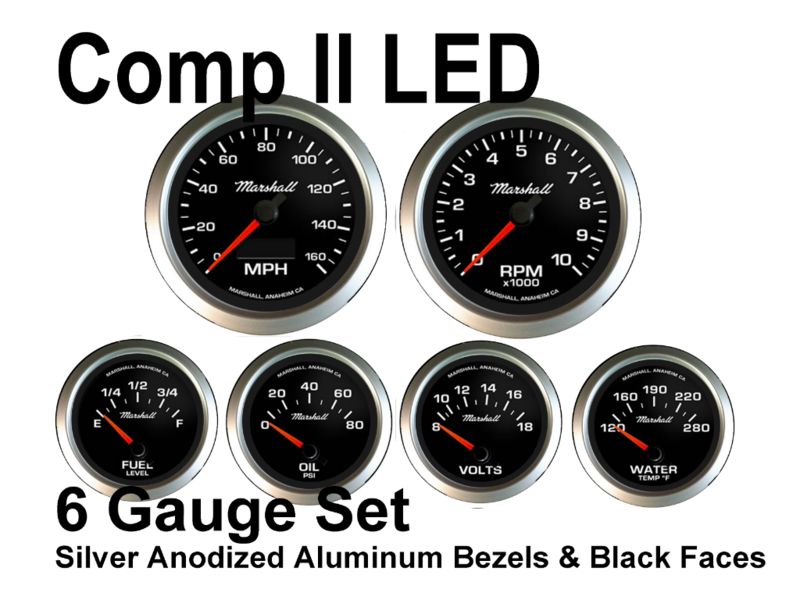 This set features through-the-dial LED lighting and glowing 3D pointer for a cool look and easy viewing at night. 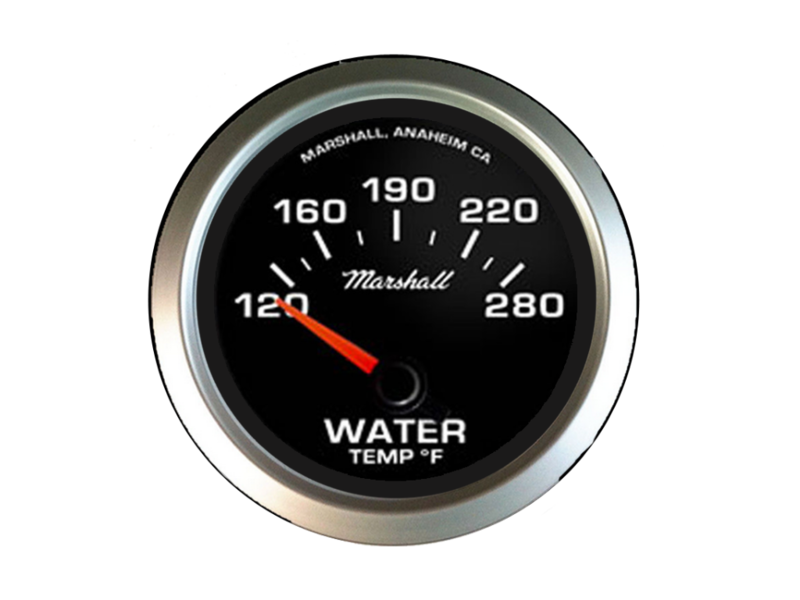 This set is assembled in Orange County California, USA. Please allow 2-3 days for your item to be made before it ships. 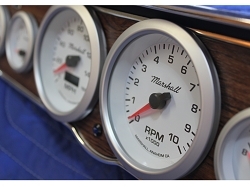 If you currently have a mechanical speedometer (cable driven) you will need a hall effect sender. 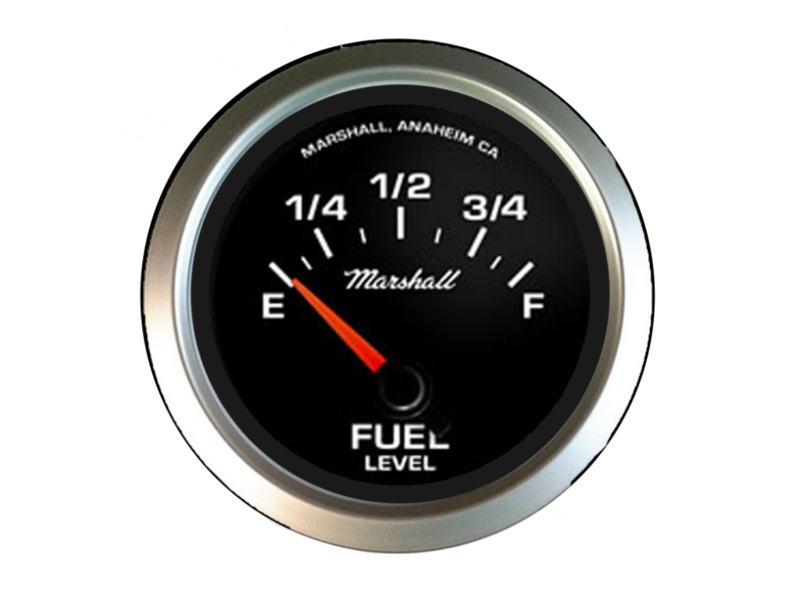 See the Available Options Above to add the correct hall effect sender to your order. The hall effect sender installs on your current transmission cable take off location. The signal from the hall effect sender (12V Square Wave signal) drives the electric speedometer. 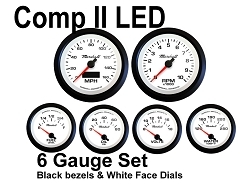 Matching Vac/Boost, Transmission Temperature, Oil Temperature, and Fuel Pressure gauges are available to match this set. 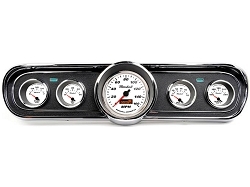 See Individual Gauges for separate listings. Copyright HyePo CPS. All Rights Reserved. powered by 3dcart Website.